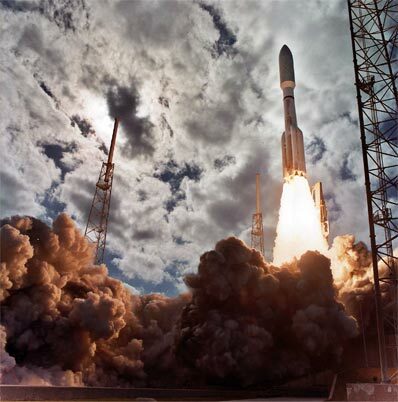 As investigators narrow the list of potential culprits in the Advanced Extremely High Frequency satellite's main propulsion system problem, the Air Force has decided to delay launching the follow-up spacecraft and rearrange its upcoming Atlas rocket manifest. The AEHF 1 satellite was carried aloft August 14 aboard a United Launch Alliance Atlas 5 rocket from Cape Canaveral, beginning a new era for secure military communications. But the original plan of maneuvering the spacecraft toward geosynchronous orbit was aborted after the satellite's onboard Liquid Apogee Engine failed to accelerate AEHF 1 during two attempted burns on August 15 and 17. The system detected that the proper boost wasn't being generated and immediately terminated the operations. Engineers have since created a rescue plan that's being implemented to use AEHF 1's smaller thrusters, but it will take nearly a year to accomplish. The on-going investigation into the misfire indicates the main engine wasn't the cause of the problem and that the fault resides somewhere else in the overall propulsion system. "I will tell you that I have high confidence it was not the engine itself and that it was part of the propulsion system that we think we are going to end up looking closely at," said Dave Madden, Military Satellite Communications Systems Wing program director at the Air Force's Space and Missile Systems Center. "I don't want to speculate on the answer because right now we're going through some red team reviews. But right now I feel very, very confident that the IHI engine that we use was not the cause of this issue," Madden said in an interview October 14. The engine, built by the Japanese aerospace firm IHI, is capable of producing 100 pounds of thrust while burning hydrazine fuel and nitrogen tetroxide. It was supposed to fire three times to propel AHEF 1 into an intermediate orbit after launch. The second and third satellites in the AEHF series are undergoing pre-flight testing at the Lockheed Martin factory in Sunnyvale, California. Madden says the AEHF 1 investigation thus far isn't prompting any significant changes to the satellites before they are launched. "We are not expecting any major redesigns to Vehicles 2 or 3 associated with this issue," Madden said. "I think it's going to be more (like) some tests and visual inspections that we have to do." Looking at specific components on AEHF 2 and AEHF 3 or constructing special tests for the satellites will determine if they are trouble-free. "My inclination is the only changes that it'll probably require is we'll probably have to do some testing to verify that we don't have a similar condition because there's a couple potential root causes they're looking at and some of them exonerate themselves very well because it has to do with workmanship-type issues," Madden said. The Air Force foresees the AEHF 1 investigation being wrapped up shortly. "We all would have preferred not to have to deal with this issue and would have had a good firing of the engine. But it turns out it doesn't appear it was the engine itself that caused the problem, that it had something to do with the propulsion system," Madden said. "We have a number of root causes that we are looking at, that we're going to try and close on in the next couple of weeks and we should be done with that and be able to move forward." The AEHF 2 satellite had been slated for launch atop another Atlas 5 rocket next February. But the complex maneuvering of AEHF 1 using its tiny thrusters to achieve the correct orbit won't be finished until next summer and its communications payload can't be activated for testing until after that. Given the AEHF 1 recovery schedule, Madden recommended that it would be prudent to keep AEHF 2 on the ground until the first satellite passes the in-space testing. "What I expressed to the senior leadership is I don't feel comfortable launching the second Advanced EHF until the first Advanced EHF gets to orbit and we can check out the payload," Madden said. "We don't want to end up in a situation where we launch two satellites and we got some issue with the (communications) hardware of the first one that we haven't been able to verify. Obviously our confidence is extremely high that we don't have a problem, but I would feel much better checking it out before I launch the second satellite." The decision to hold AHEF 2 automatically delays the launch an entire year because of the Atlas 5 rocket's full schedule at Cape Canaveral. 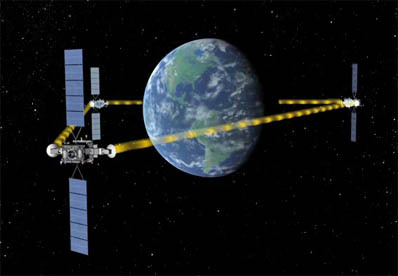 Complicating matters that prevent AEHF 2 from jumping into the lineup in late 2011 are two time-critical planetary probes that must launch during very specific windows. The year begins with launching the second Orbital Test Vehicle in the U.S. military's X-37B experimental spaceplane program. Liftoff of OTV 2 from Cape Canaveral is targeted for March 4. A classified payload for the U.S. National Reconnaissance Office will fly from the West Coast pad at Vandenberg Air Force Base in California. Launch of NROL-34 is planned for March 31. 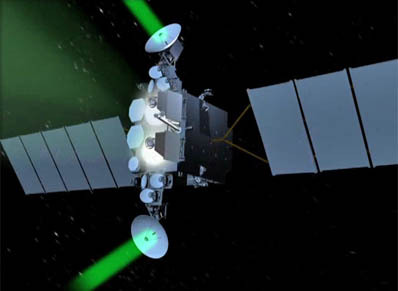 Back at Cape Canaveral, another Air Force mission carries the first Space Based Infrared System Geosynchronous satellite for missile early-warning detection. SBIRS Geo 1 has an April 30 target launch date. Then comes NASA's Juno probe embarking on a scientific expedition to orbit the planet Jupiter. The craft must launch between August 5 and 26, a critical window dictated by when the planets are properly aligned to begin the trek. The Mars Science Laboratory has its own planetary launch window to leave Earth between November 25 and December 18, dispatching the SUV-size rover "Curiosity" toward a landing on the Red Planet's surface. And the AEHF 2 satellite now shoots for early 2012, launching in March or April. "That's what they are trying to pencil me in for. And right now that doesn't hurt Advanced EHF 2, the Milstar constellation is still strong, so there is no impact to mission capability by delaying. It just gives us a little bit of breathing room to make sure we can check out the first satellite," Madden said.